Scattered thunderstorms this morning with a few showers possible during the afternoon. High 67F. Winds WNW at 15 to 25 mph. Chance of rain 50%.. Mainly clear skies. Low 47F. Winds WNW at 10 to 15 mph. 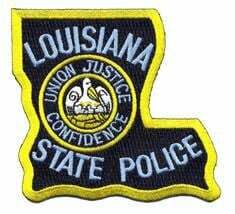 The crash south of Interstate 12 killed Bernard Kannon Jr., age 63, around 2 p.m.
Kannon was driving a 2008 Honda Odyssey northbound when he ran off the roadway to the right, according to the initial LSP investigation. The vehicle then entered a ditch and struck a concrete culvert. He was unrestrained at the time of the crash. The Livingston Parish Coroner’s Office pronounced Kannon dead at the scene. Impairment is not known, but a toxicology sample was taken from Kannon and submitted to Louisiana State Police Crime Lab for analysis. The crash remains under investigation.